An underwritten screwball comedy of remarriage crossed with an overlong contemporary sitcom – much like the titular people-pleasing pet at the heart of its plotline – director Huck Botko's Dog runs itself ragged in the hopes of being everything to everyone during its ninety-five minute running time. While largely and refreshingly devoid of the kind of lowbrow, gross-out humor that we typically find in both children-centric pet movies and modern day romantic comedies, neither Botko nor his two screenwriters (Matt JL Wheeler and Rick Rapoza) were able to deliver a completely successful family friendly endeavor that could play equally well to both pup-loving kiddos and adults. Gifted with a title that actually references its plot (for a change! ), Who Gets the Dog? 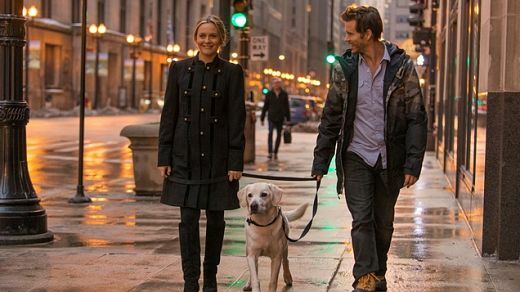 stars Ryan Kwanten alongside Gen X icon and executive producer Alicia Silverstone as a divorcing couple fighting over the custody of their dog, Wesley. Bolstered by the charm and believable chemistry of its leads, the film is as affable as it is awkward. Typically in the Rom-Com genre, the hero’s “sidekick” plays a minor role. However, in Dog’s case, Kwanten’s best friend Rhett (Matty Ryan) has been given the picture's best plotline as a multitasking youth hockey coach who spends his time looking after his nephew while also helping minor league goalie Kwanten train for a shot at joining the Chicago Wolves. And even though Kwanten’s Peter Pannish man-child bonds with Rhett’s adorable nephew, needless to say, the film would’ve been much stronger if Kwanten would’ve been the hockey coach/uncle and aspiring Wolves goalie as it would’ve given him much more to do than simply – literally and figuratively – chase after the eponymous dog. Also overwhelming the leads, Randall Batinkoff steals scenes in an inspired turn as an overly masculine canine whisperer hoping to ply his trade with the goal of romance. Although Kwanten delights in some inventive slapstick sequences while diving headfirst into his Shaggy-like role including a marvelously staged one at his character’s camper, other times it borders on scenery-chewing – making us painfully aware that this Dog is in desperate need of a tighter directorial leash as well as a more substantive script. Likewise, by not giving verbally gifted Shakespeare and Austen (by way of Heckerling’s Clueless) vet Silverstone enough to do besides react to the chaos, the film drags as events come to a predictable head. And contrasted with some of the inventive flourishes that made the audience laugh earlier on, the forgettable finale feels like a a missed opportunity. Gently roasting the dog-owner world in the hopes of strengthening its by-the-numbers storyline, although the end result is too inconsistent to keep us truly invested, there’s still plenty to like about this admittedly flawed yet undeniably pleasant PG-rated direct-to-disc confection. 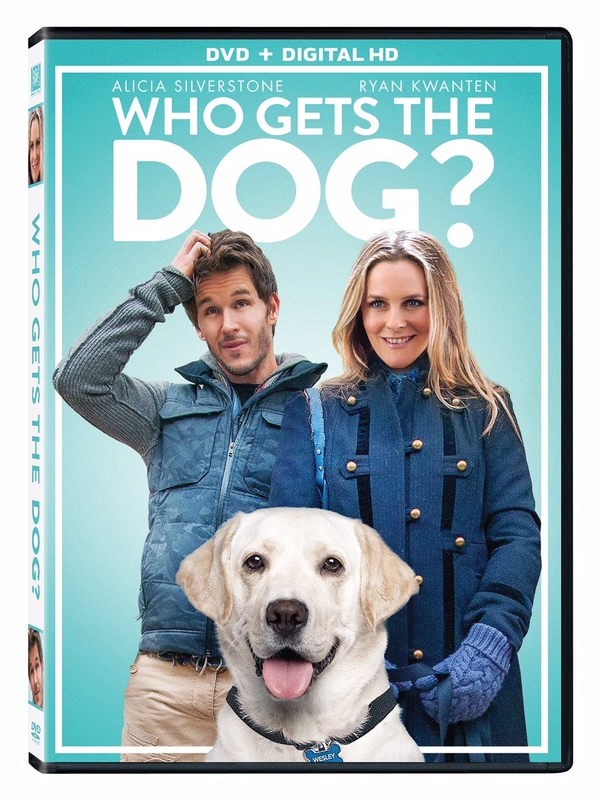 Aimed at humans and pets of all ages and released in time for holiday family viewing (and gift-giving), Who Gets the Dog? is sure to fetch an audience.